Hi, I'm back with another TAWS card to share. I just love this new background stamp, Love Knots. After clear embossing the background onto kraft cardstock I cut out the heart from the panel and filled it with red microbeads. It didn't go real well, I think I need some practice using those fiddly little beads, so I thought I would cover it with glossy accents to bulk it up a bit. It still didn't turn out how I intended but I still like the effect. Thanks for stopping by and don't forget to head over to the TAWS blog for more inspiration! This is so cute! 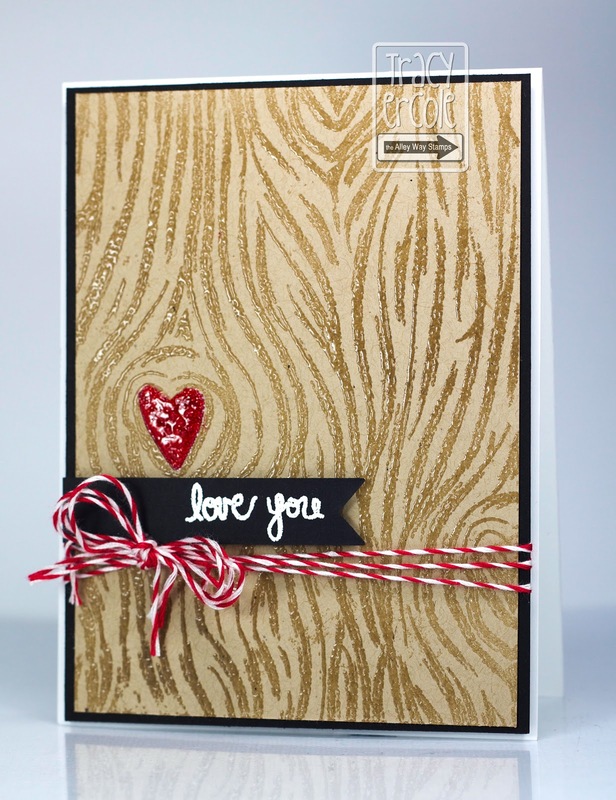 I love the wood grain in the back ground with the red heart and red twine!